Growing your own potatoes definitely has a lot of benefits. You don’t have to pay so much for organic potatoes at the supermarket, you are 100% knowledgeable about how they’ve been taken care of, and you reap the health benefits as well. 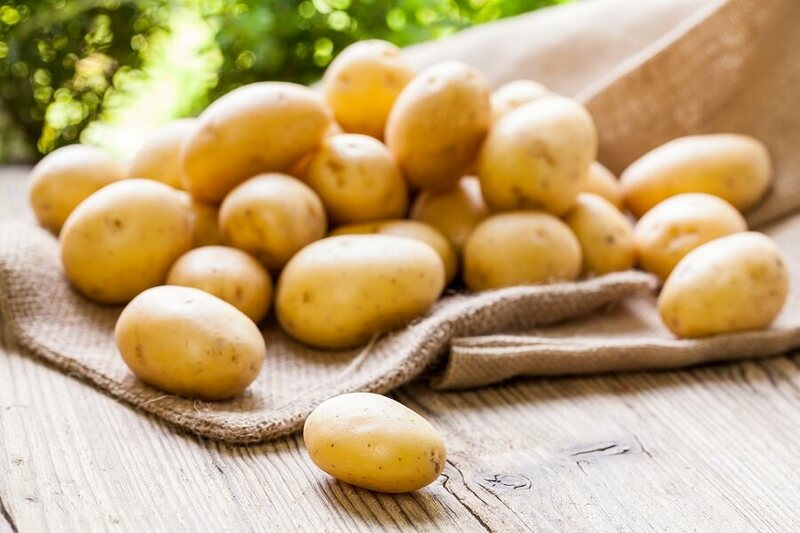 However, the task of growing potatoes at home might scare some people into giving up the idea in favor of potatoes they can simply buy from the market. 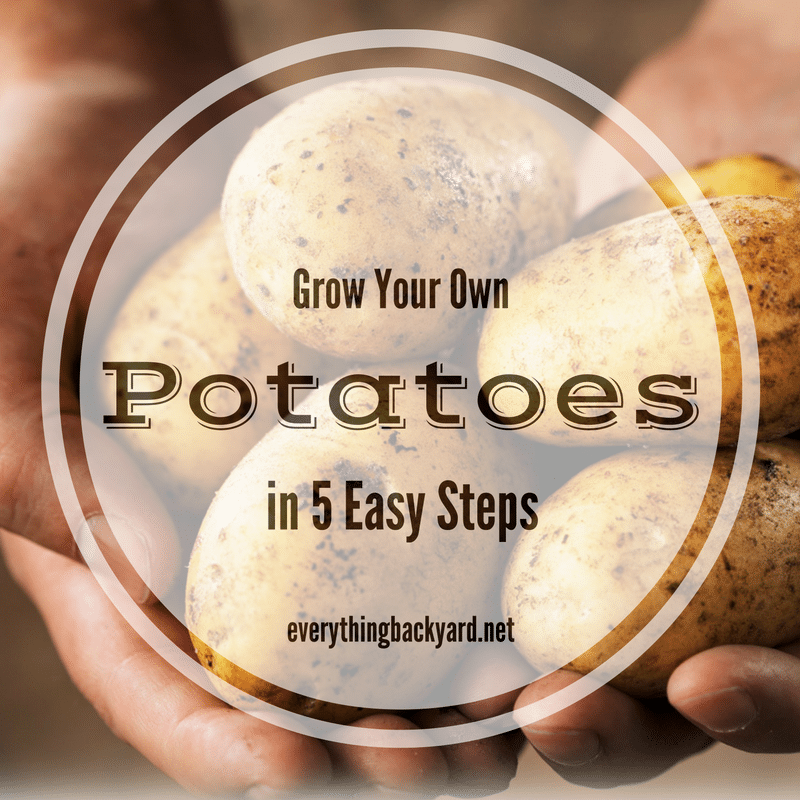 We are here to tell you how to grow potatoes in a few easy steps, so that you don’t have to worry about the process, and just enjoy the outcome. Naturally, there are several types of potatoes that you can grow. Your choice should depend on the area where you live, and on the type of soil you have in your garden. Other than that, just be careful for the potato seeds to be certified and disease free. We recommend this great potato seed mix from Amazon, which you can purchase for only $12.99. Before you actually go outside in the garden and plant the potato seeds, there are some steps you should follow. First of all, you should take every tuber and slice it into quarters, making sure each of them has a maximum of three indents on their surface. Then, expose the pieces to sunlight until the indents start growing sprouts. This should take around two days. After this period has passed, you have to wait for the sprouts to grow half an inch. All the while, keep the tubers in an upright position. Then, leave around 2 to 3 sprouts on each piece, and you are ready to plant the potatoes. Before planting the potatoes, make sure the soil is weed-free, loose, and mixed with compost, manure, and fertilizer. Also, keep in mind that potatoes require a lot of sun. So we suggest you choose the sunniest place in your garden for this. Now it’s time for you to find out the most important step in how to grow potatoes at home, which is actually plating the tubers. We advise you to plant them around 4 inches in depth, and 12 inches far from one another. You should provide them with plenty of free space to grow and develop. Once you’ve planted the tubers, you have to pay close attention to them and provide them with all the care they need to develop into delicious and nutritious potatoes. When the actual plant starts showing, keep covering the potatoes with soil, otherwise, they won’t be safe to consume. Furthermore, make sure no weeds are interfering with their growth, keep an eye out for pests, and water them every once in a while. They don’t require a lot of water, so only do that when you notice the soil is really dry. Finally, when the vine leaves become yellow, the potatoes are ready to be harvested. We hope that our short, yet comprehensive, guide on how to grow potatoes at home will be of assistance to you when you decide to give this experience a shot.